On May 27, 2012 Kitchener is hosting a “trail event” on the Iron Horse trail. Initially called “Animate the Trail” it seems to have evolved into “Meetup on the Trail” and is being held at the same time the Victoria Park folks are holding their 2nd annual Henry Sturm festival. To view the website for this event click here. To view a poster for the event click here. There will certainly be many things to celebrate and everyone is invited to take part of the trail and do pretty much whatever you want there. It will be fun to walk the trail (which many of us do anyway) and see how many folks come out to this event. At some point we hope the organizers settle on a theme and name. This event started last year as a “car free” day. 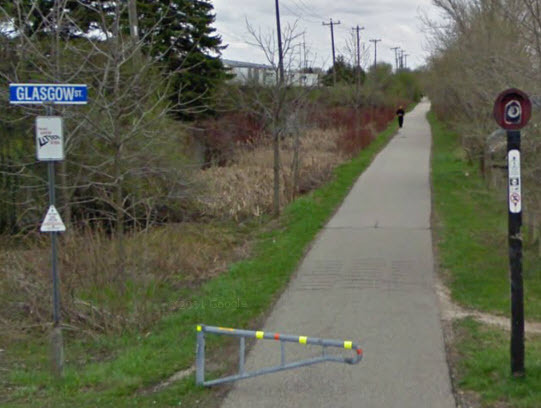 It was expensive to block off the road and impossible to make the many blocks between Kitchener and Waterloo very interesting and Kitchener council voted against spending any more money on it. Relocating the event from the street to the trail is a great idea because the Iron Horse is already “car free”. But with all the activity inside Victoria Park for the Henry Sturm festival, we will see how many folks venture away from that space and onto the trail itself. Let’s all come out and see what is happening on May 27th. Bring a gong to bang!